The mother of an Austrian teenager who was held captive for eight years before her escape last week has pleaded to be allowed to see her daughter. Natascha Kampusch, 18, is at a secure location with psychological carers, and police say she has not asked to see her parents again after a brief reunion. Her mother Brigitta Sirny asked in a newspaper interview on Sunday: "Why can I not see my child?" 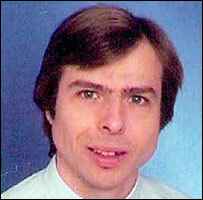 Ms Kampusch's captor Wolfgang Priklopil killed himself after her escape. She is reported to have wept inconsolably when she was told the man she had to call "master" was dead. Police suspect she may have been suffering from "Stockholm Syndrome" - a condition where some abductees gradually begin to sympathise with their captors. The teenager is said to have asked for a quiet weekend, free from police questioning and visits from her family. Her parents, who separated after her abduction, have complained that they have not been told where she is staying. It disturbs her that she is often portrayed as a special case. Brigitta Sirny told the Kurier daily newspaper: "Natascha is shut away once again. It's terrible for me. Psychologists and doctors - that's all good and important. But my daughter also needs her mother." Natascha Kampush's father Ludwig Koch was also reported to be upset in comments made to the Austrian Press Agency (APA). "Isn't it crazy that I don't even know where she is?" he said. He said he had received a letter from his daughter asking him for his understanding that she needed rest this weekend. "We will have all the time in the world," he said she wrote. Austrian police officer Gerhard Lang said the police were not banning contact with Ms Kampusch. "Natascha is an adult, 18-and-a-half years old. She is fully capable of making decisions for herself," he told the AFP news agency. He said she had voluntarily gone to a "safe place" to receive psychological care and protection. He said psychologists warned that care must be taken over her reintroduction to her past life. Children's lawyer Monica Pinterits, who has spent several hours with Ms Kampusch, described the teenager as "sensible and eloquent" who was following the media coverage with great interest. "It disturbs her that she is often portrayed as a special case. She [doesn't see herself as] as a poor victim, but a grown young woman," she told the APA. Erich Zwettler of the Federal Criminal Investigations Bureau said they had agreed to stop the questioning until Monday at the earliest. "She urgently needs a break," he said. He confirmed reports that she had told a female investigator that she had "sexual contact" with her kidnapper. But DNA tests on Priklopil have ruled out the possibility he could have been a serial stalker of children, Gerhard Lang said. Ms Kampusch, said to be pale and to weigh less than she did as a 10-year-old, managed to flee her abductor on Wednesday after he moved away to take a phone call as she vacuumed his car, it has emerged. Priklopil threw himself under a train within hours of her escape. Photos released by police show the underground hiding place in his house, in Strasshof village outside Vienna, where he had purportedly kept her. The pictures show a small, cluttered, windowless room with wash basin, toilet, bed and cupboards and narrow concrete stairs leading up to a trapdoor.